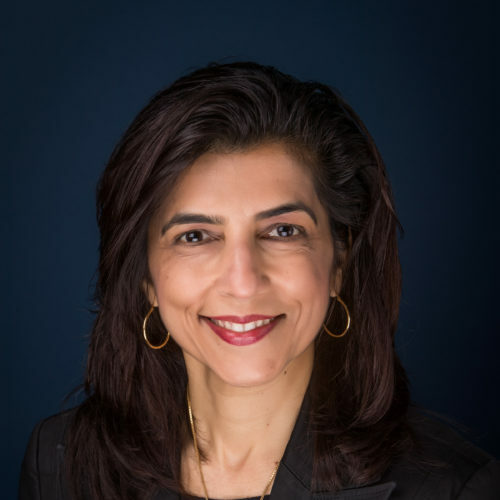 Managing Director, Legal, Nomura Secuirties, Inc.
Angie Karna is a Managing Director in the Legal Department of Nomura Securities International, Inc. in New York. She is the Head of Legal for Global Markets, Americas. Angie joined Nomura in September 2009. Prior to joining Nomura, Angie was a senior attorney at Barclays Capital and Lehman Brothers in New York. She joined Lehman Brothers in 2000 and joined Barclays Capital when it purchased the US operations of Lehman Brothers in September 2008. Prior to Lehman Brothers, Angie worked at Shearman and Sterling in New York, CIBC World Markets in Toronto and Osler, Hoskin & Harcourt in Toronto. Angie holds a J.D. degree, an LL.B degree and a Bachelor of Science degree. She is a member of the Bar in New York and Ontario, Canada. Angie was appointed by the U.S. Commodity Futures Trading Commission (the “CFTC”) to serve on the CFTC’s Global Markets Advisory Committee from 2015 – 2016. She was elected to serve on the National Futures Association’s (“NFA”) Swap Dealer Subcommittee of the NFA Nominating Committee. Angie is on the Executive Committee of the Board of Trustees of the Institute of International Bankers (“IIB”). Angie was a Co-Chair and a Vice Chair of the Securities Industry and Financial Markets Association (“SIFMA”) Swap Dealer Committee from 2014 – 2018. Angie is an active member of additional SIFMA, IIB, International Swaps and Derivatives Association (“ISDA”) and other industry association committees and working groups. She is a frequent speaker at industry conferences.